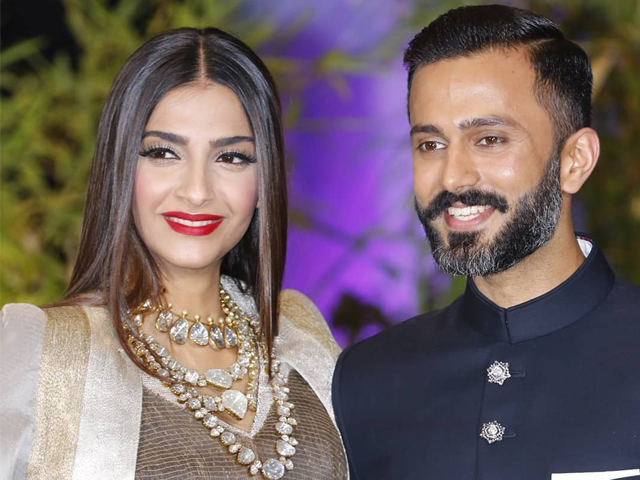 Following the controversy surrounding Bollywood actor Sonam Kapoor’s name change after her wedding, it has come to light that her husband, Anand Ahuja, too has changed his name and now goes as ‘Anand S Ahuja’, presuming S stands for Sonam. 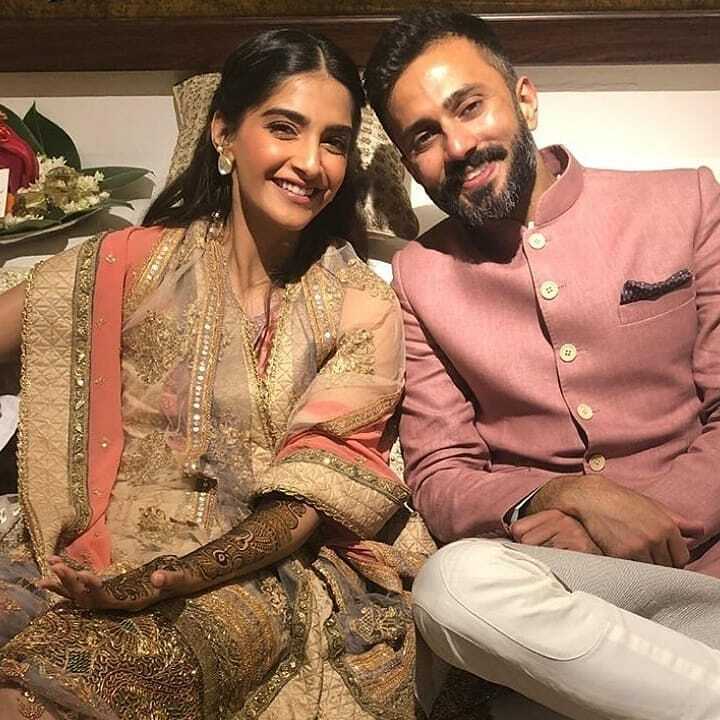 Sonam changed her name on her social media handles from ‘Sonam Kapoor’ to ‘Sonam K Ahuja’ hours after she exchanged vows with long-time beau Anand Ahuja. The actor said that she always said she is a feminist and thus, has the choice to change or not change her name. “Kapoor is my family name, so is Ahuja. I am a part of that family too, so I chose to keep both the names. In fact, Anand has also changed his name and nobody noticed that. It is my personal choice,” added the daughter of veteran actor Anil Kapoor. “Taking your father’s name as the last name is a practice. That is how you show respect to your father. You can give the same respect to your husband using his name as the last name. It is the same thing. It is a cyclical thing,” said Sonam. She continued, “One can break it and give their child a new surname but it takes a lot of effort. It is a complicated discussion, but at this point in time, this is my choice,” she said. Meanwhile, according to NDTV, numerologist Sanjay Jumaani said that Sonam Kapoor changed her name “at his behest” because she wanted to get her name “numerically right” after her wedding. Sonam’s upcoming film Veere Di Wedding is all set to release on June 1. When asked if she would be working in films as enthusiastically as she did before marriage, Sonam said, “Well, people are asking me these questions, which is sad. I do not think it has really changed that much. “I know it for a fact that Kajol, who also got married at the peak of her career worked. Actors like Dimple Kapadia, Waheeda Rehman also worked after marriage. In fact, Madhuri Dixit did a film like Devdas after marriage,” said the actor. “I think as women we should come together and understand that it should be always a choice. And that should not be taken away. I am also making sure that I am leading a normal life of coming back to work after marriage and doing what I do the best,” added the Khoobsurat star. 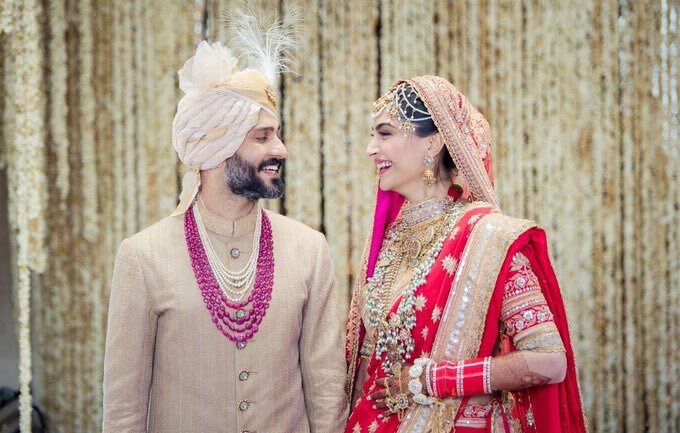 Sonam and Anand tied the knot on May 8 surrounded by friends and family. Her wedding reception, held later in the evening, turned into one of Bollywood’s biggest celebrations with some of the industries biggest stars including Shah Rukh Khan, Salman Khan, Ranveer Singh, Ranbir Kapoor, Katrina Kaif, Karan Johar, Kareena Kapoor Khan, Ali Bhatt and Arjun Kapoor in attendance.